Here’s how to repurpose a white paper as a press release, part 2 of our ongoing series. A press release can be one of the easiest pieces to spin off, once you get familiar with the form. Why bother doing press releases? With so many benefits from publishing press releases, I’m always surprised when I see a B2B company that doesn’t get around to it. To see the white paper, click the thumbnail on the left. To see the press release based on that white paper, click the thumbnail on the right. Here’s the good news. Creating this press release took less than one hour. That’s right: Not even an hour. My partner Angie Gallop and I may have an unfair advantage, because we’ve both done a lot of journalism. After seeing hundreds of press releases, we’re intimately familiar with this format. We didn’t bill the client anything for this. 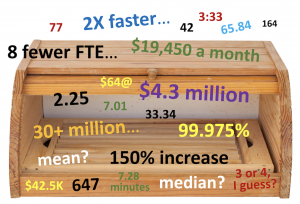 We figured it would be a dash of added value we could easily deliver. Almost every press releases uses what’s called an inverted pyramid. This means all the important facts are clumped at the start. The Who, What, Where, When, and Why are all given in the first few sentences. The theory is that you must front-load all the key information at the start. This helps a busy editor or journalist scan through your release in just a few seconds. So don’t make them guess. Just give them the facts and let them decide if they can use your news. Crisp and clear, no humor, no puns. You want to include the key benefits or findings. And you generally use a subtitle, so you’ve got maybe 30 words in all. 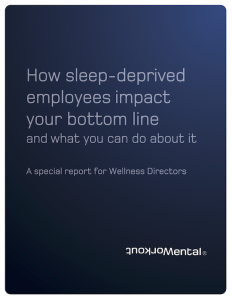 Mental Workout today released a special report for wellness directors on how much sleep-deprived employees cost companies and what to do about it. Sometimes spelled lede for obscure reasons. The first sentence or two. Just the facts, the answers to the 5 Ws: Who, What, Where, When, and Why. You don’t have room for anything else, certainly no cleverness. 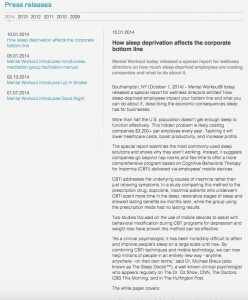 Mental Workout® today released a special report for wellness directors entitled “How sleep-deprived employees impact your bottom line and what you can do about it” describing the economic consequences sleep has for businesses. You want to have a quote from the client soon after the lead. Include another quote in the middle, and perhaps a third at the end. Make each quote conversational. 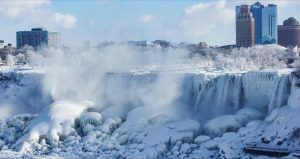 While the rest of the text must be strictly factual, the quotes can use some emotion or imagery to put the topic in context. Always identify the person quoted by title and perhaps credentials. The quotes in a press release are usually drafted by the copywriter, and shown to an executive for their approval, no interview required. Check out the quotes we used in this release. The middle paragraphs fill in more details on the topic. When you create a press release from a white paper, you generally pick out the key assertions or the most provocative findings to highlight in the main body. In this press release, we included a set of bullets that show all the main topics the white papers covers. 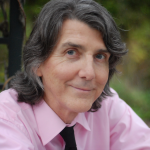 The call to action is the final sentence telling the reader what to do next. When you create a press release from a white paper, the call to action is usually something like: Go to the client’s website to download the whole white paper. Usually, you give readers a specific link and hope the editor includes that with the story. What’s the buzz about press releases? 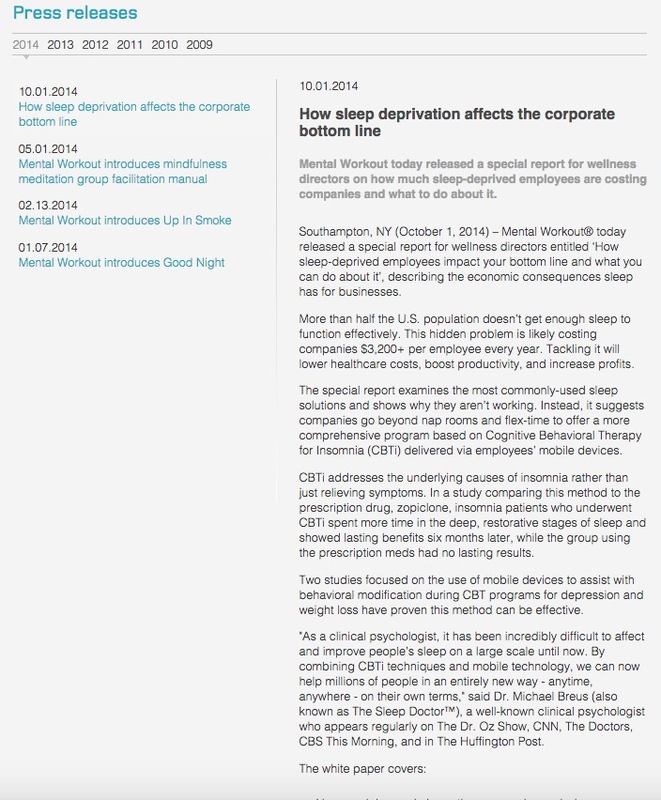 A press release is typically posted on the website of the company that sponsored the white paper. The site may have a section called “press room” or “news” with an archive going back a few years. And press releases are often sent out over the online business wires. This is a straightforward exercise that costs just a few hundred dollars. 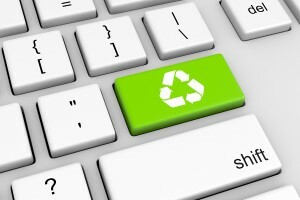 Online press releases help with SEO. And they can help build buzz and downloads for a new white paper. I encourage white paper writers to bundle a press release with every project. They make a nice little extra that doesn’t take much time to produce, but can pay off very well for your client. Here’s part 3 of this series on how to repurpose a white paper into a set of blog posts. 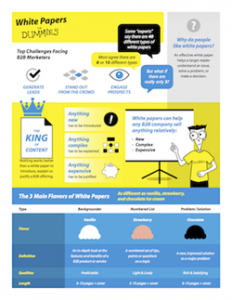 Have you ever written a press release based on a white paper? How did that work out? Please leave your comments below. 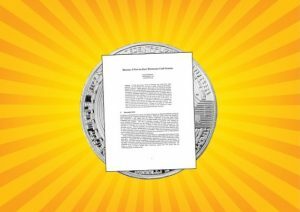 I have really enjoyed this article, and seeing how different blog posts and a press release can be extracted from a white paper. This writing style also fits my background as a journalism major and technical writer. Garth, We share the same background! I worked for many years as a freelance journalist and full-time tech writer. I believe that’s an ideal background for writing white papers and other B2B content.